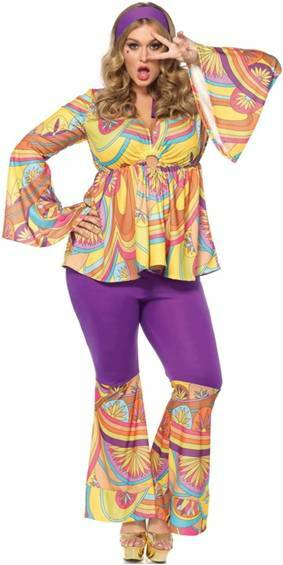 This costume is outta sight! 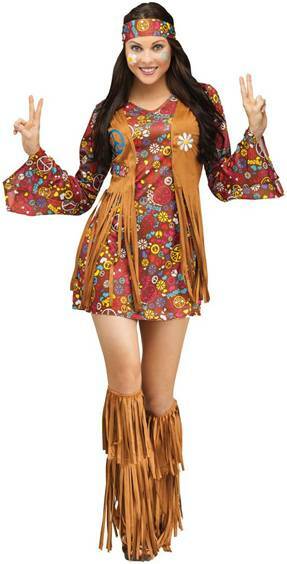 Spread some love and travel back to Woodstock for a groovy festival! 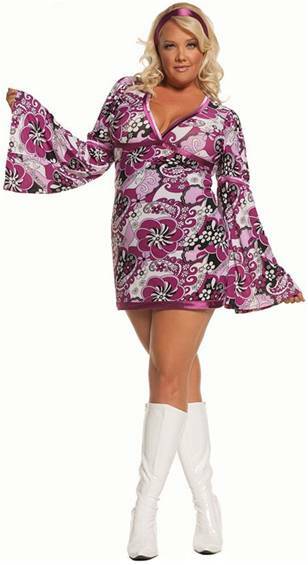 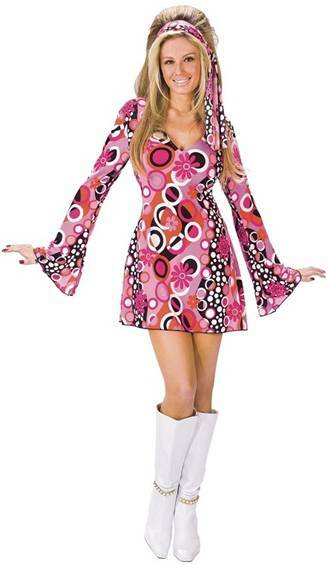 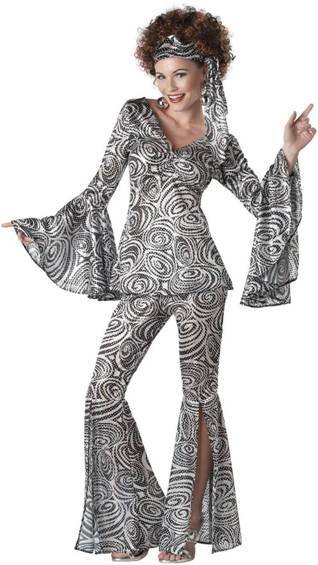 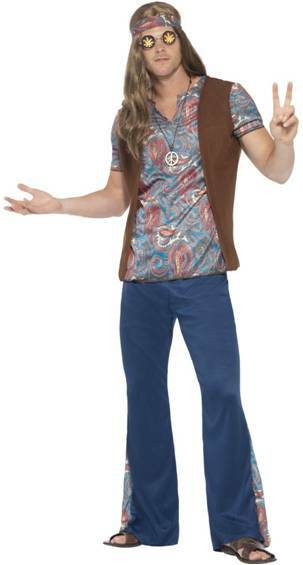 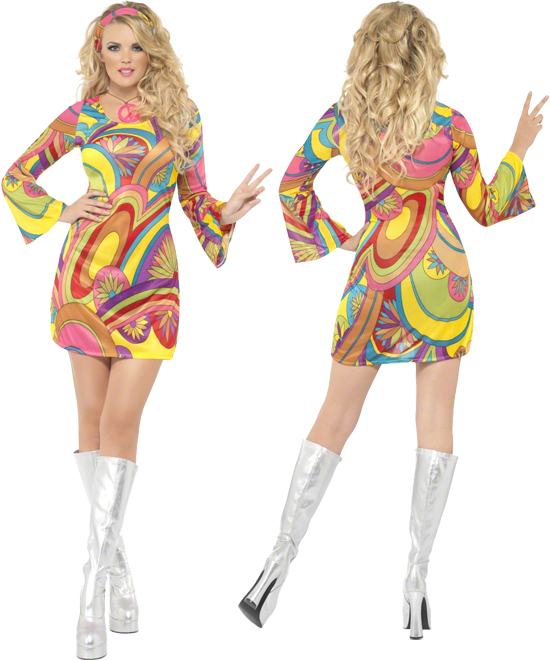 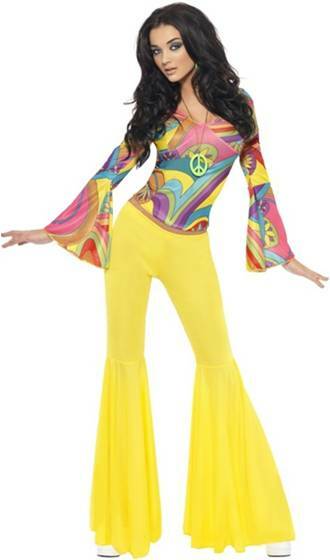 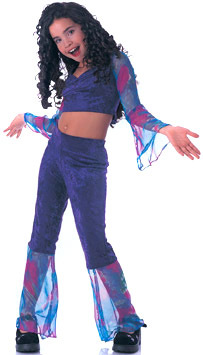 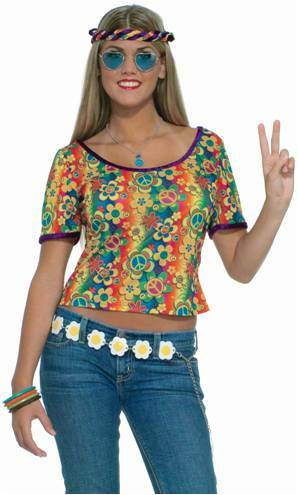 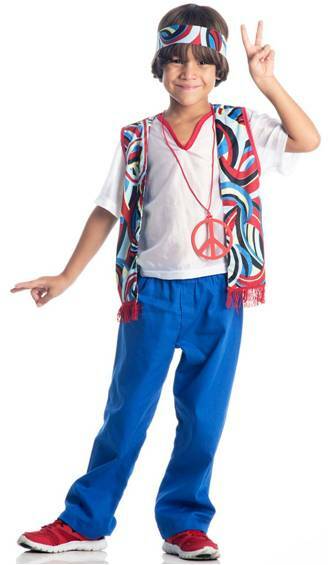 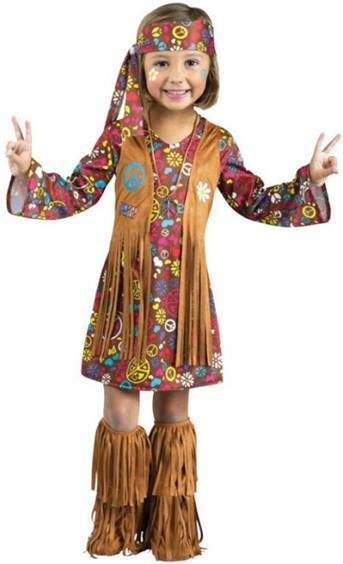 This trippy costume features slip on bell bottoms so you can make any pants into bell bottoms in an instant! 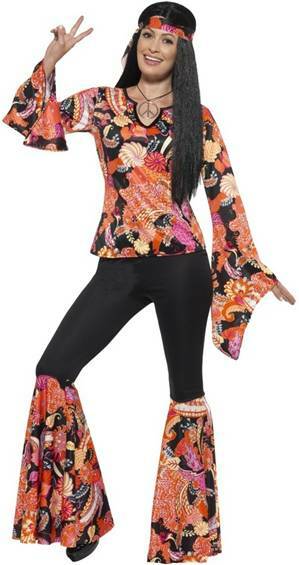 Item features a printed tunic, fringe vest, headscarf, waist sash and slip on bell bottoms.